Sofft Fishing Contest, allows you to define the fields where the fishermen will compete in the tournament, and complete record of extractions. It has a customizable fish database, and allows to determine competing parts. With extractions records, allows to generate the ranking of positions by fields, by total fields, or by parts. 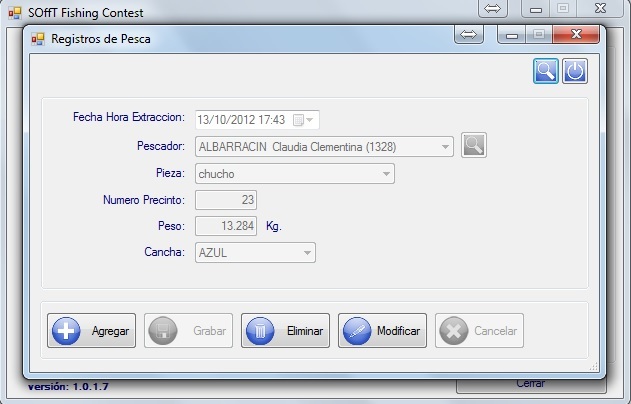 Transmits data from different fishing fields to a central database, where the results are published online.